Say hi to 'Storm!' 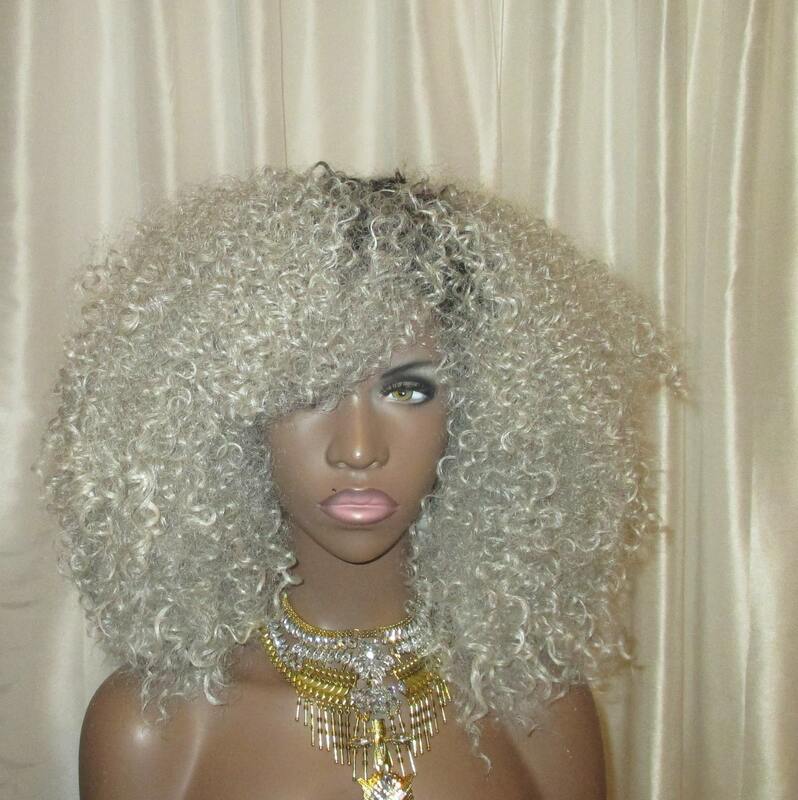 This is a beautiful natural hair unit for you gray curlies that love bangs! Wear gray hair in a stylish way with this unit! Bangs can be placed in the face or kept away from the face depending on you! It does frame the face very well! 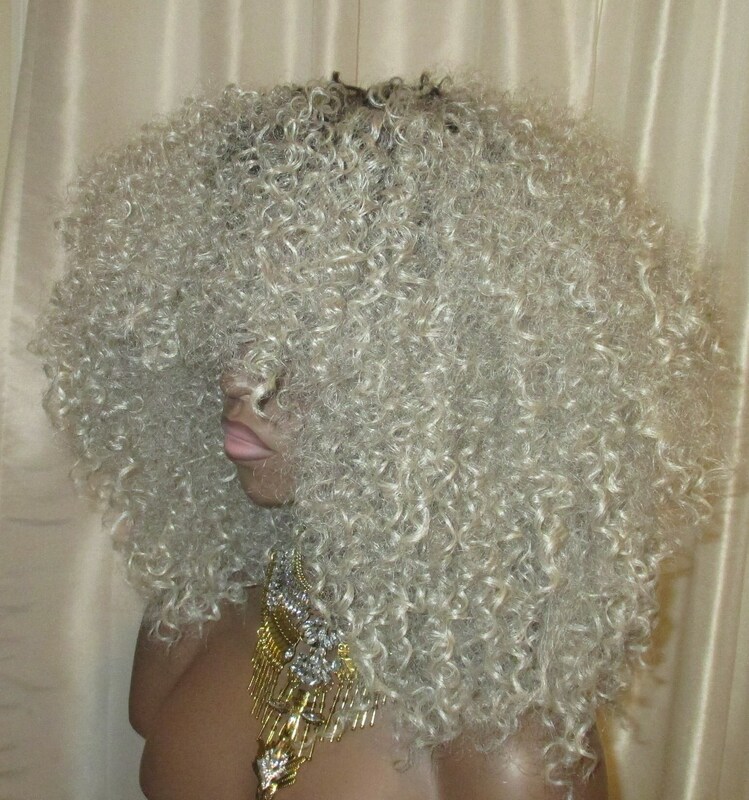 This is a non-lace wig. Good for those of you who don't enjoy lace wigs. 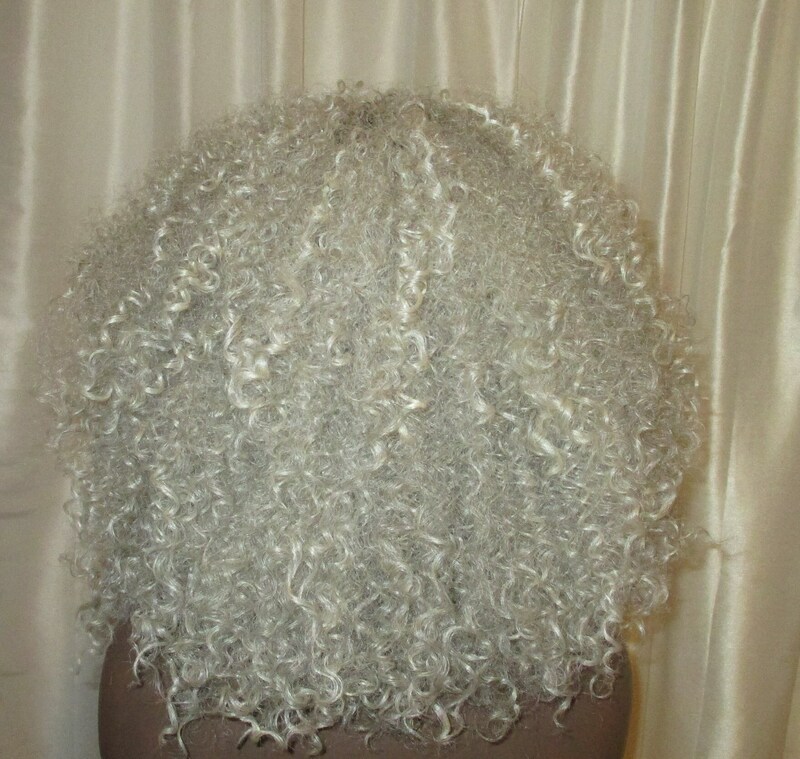 Perfect for our mature or younger curlies who are looking for a protective unit for their natural hair. Provides a LOTS of volume with long shoulder length. Wig has adjustable straps. Ready to be worn.